M.H. McDonough & Sons Inc. The McDonough Funeral Home history begins around the turn of the 19th century in Lowell, Massachusetts during the Industrial Revolution. At the time, Lowell was a major industrial center and contained more cotton spindles then all 11 states of the former confederacy combined. Lowell was the largest industrial complex in the United States and was a major attraction for migrant workers, especially from Ireland. The great potato famines in Ireland during the 1830’s and 1840’s forced many Irish families to find a better life for themselves, including the McDonough family. Thomas McDonough came to the United States in the 1850-60’s and settled in Lowell. His son, Michael H. McDonough began working in the 1880’s at an undertaking firm on lower Gorham Street called Hanover & McDermott. Shortly after this he started his own shop. It’s important to note that undertaking firms around the turn of the century were commonly referred to as “shops”. The reason was simple, the physical footprint of an undertakers establishment at the time was usually no more than a simple storefront. it was there that undertakers would prepare the deceased for the visitation, which would be held at the family home. To this day, the current McDonough family members still sometimes refer to the present funeral home as “the shop”. The new firm was known as M.H. McDonough and Company and was located at the corner of Gorham Street and Summer Street. Sometime after this, in the early 1900’s, the firm relocated to a building at 108 Gorham Street. This was where the business started to become a success and Michael H. McDonough or “Mickey Mack” as he was known, developed a favorable reputation throughout the city. In 1907, M.H. McDonough was stricken with a heart ailment and his son, John L. McDonough began helping his father and studied at Barnes School of Embalming. He earned his funeral director/embalmers license in 1908. 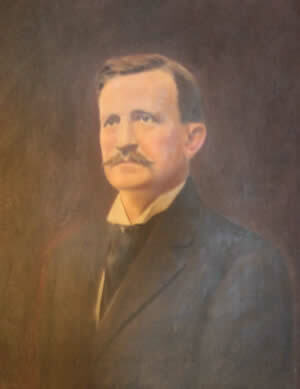 In December of 1910 Michael H. McDonough passed away at his home, surviving him was his wife, Margaret E. (McGuane) McDonough and their 5 children. 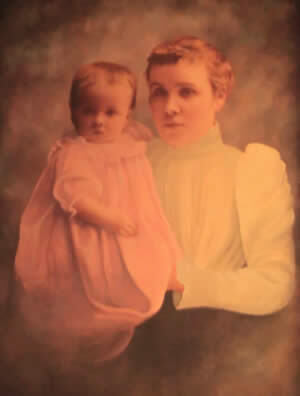 Shortly after the death, a partnership was formed between Margaret McDonough and her son John L. McDonough under the new name M.E. McDonough and Son. 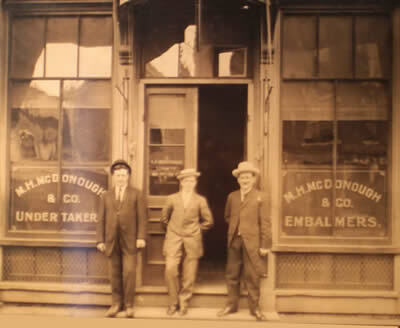 As the years went by, Edward F. McDonough and George M. McDonough also followed in their father’s footsteps, becoming licensed funeral directors/embalmers. It’s of some interest to note that Margaret McDonough also attained an funeral director/embalmers license during this era, and was one of the first known licensed female funeral director/embalmers in the United States. In 1914 the firm was forced to relocate by eminent domain. Moving into another building on Gorham Street near the corner of Charles Street, they entered into a 10 year lease. They remodeled this building with funeral parlors on the second floor. As the lease was coming to an end in 1923, a new building was purchased located at 14 Highland Street. 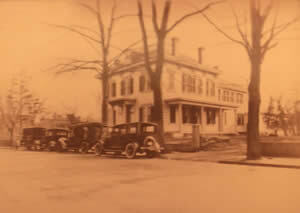 This funeral home opened for business on October 1, 1923 and was the first Catholic funeral home of the larger home-style funeral homes in Lowell. It is thought that during the time of the great depression, from 1929 to around the start of WWII, the need for the larger home, with visitation rooms and chapels became a necessity to the families of Lowell. The reason was that during the 1920’s people were relatively open to allowing family, friends and visitors into their homes to pay their respects to the deceased. It was during the great depression that these homes started becoming a target for those who had fallen on hard times. For example, a down on his luck gentleman might notice the wreath on the door, a symbol of a home wake, and head on in to supposedly pay his respects. He would take advantage of the hospitality, warmth, food and drink. Sometimes things would turn up missing from the home after a wake. It is generally believed that this, coupled with smaller homes/apartments coming into favor, started the current trend of having visitations at the funeral home itself. The McDonough Funeral Home facility would be ahead of it’s time in that respect and was considered state of the art for the era, having one of the first regular telephone services in the city of Lowell. This helped to garner a growing relationship with the community surrounding the funeral home. The funeral home always made it’s telephone available for anyone who needed it in emergencies and when it was too far to travel for communication. In the 1920’s the telephone was just starting to come into public use, so this was a very useful service for the business and for the community. Although there was the telephone service, the majority of deaths were still reported to the undertaker either at “the shop” or at the undertakers home, the same manner in which a doctor would be called upon for service in the 1920’s. So it was required by John L. McDonough that someone be in the funeral home, 24 hours a day, 365 days a year. This started a tradition of immediate response, dedication and unwavering attention within the McDonough family that is still a strong part of the McDonough Funeral Home family and staff to this day. The current McDonough generations operating the funeral home all live on Highland Street within a few steps of the funeral home on it’s grounds. The advent of call forwarding technology allowed the funeral home telephone number to ring through at the home of the undertaker on call, no matter the day or the time, a practice which is in place to this day. Although telephones are now the primary means of communication when someone has passed away, there are still some families that feel more comfortable coming to the funeral home to inform the undertaker that they have experienced a loss. Many many times throughout the years a family would come to the funeral home on a weekend or an off hour and still find the McDonough family on the grounds and ready to help. It is for this reason that the traditions instilled in his family by M.H. McDonough and John L. McDonough of service above all, is always on the minds of the McDonough family and staff. 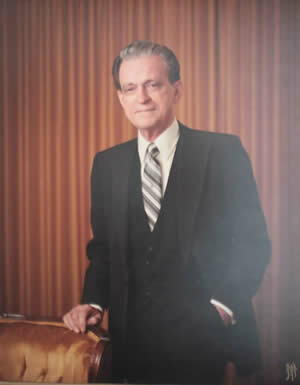 In 1946 John L. McDonough’s son, Joseph M. McDonough, became a licensed funeral director/embalmer following in his father’s and grandfather’s footsteps. He carried on the tradition of intensive service to the families of Lowell with a focus on philanthropy and community service. 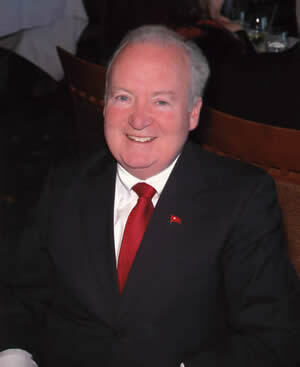 Serving on many local boards and organizations, Joe McDonough was well known throughout the area as a generous businessman and charitable undertaker serving countless families who may have not been able to pay for the services rendered. He never turned any family in need away and thus started another tradition which is still upheld by the McDonough family to this day. Mr. McDonough’s 6 children all helped out at the funeral home throughout the years, with his sons Joseph M. McDonough Jr. and John L. McDonough following in the family tradition becoming licensed funeral directors/embalmers in the 1970’s. Working with their father throughout the 1970’s and 80’s, the three undertakers worked hard during a difficult economic time in Lowell. While he worked as President of the funeral home, Joseph M. McDonough Sr. found time to develop his talent as an artist, several of his paintings still adorn the funeral home today. He was also a gifted singer, performing as a member of the legendary Highland Players for many many years. Many Lowellians will remember the annual Christmas shows put on at the Lowell Memorial Auditorium, which he took part in every year, even when stricken with emphysema, he could still be found on stage doing his best to entertain. Requiring the use of oxygen to maintain his failing health, he continued to work at the funeral home as well, directing funerals into the 1990’s, oxygen tank in-tow. By this time his son Joe had opened his own funeral home in Exeter, NH and his son John L. had taken over the day to day operation of the McDonough Funeral Home. The beliefs instilled in Joe Sr. by his father knew no illness, he served the families of greater Lowell until his very last days, passing away in 1993. 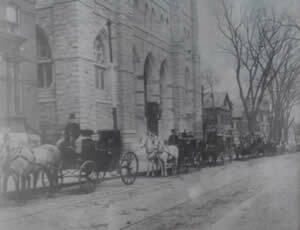 By this time the McDonough Family had been working in funeral service for over 100 years and looking towards the future, John L. McDonough purchased the property adjacent to the funeral home in between South Street and 14 Highland Street on which was the former St. Peter’s Convent. The dilapidated building was in ruins and crumbling to it’s foundation. It was razed to make way for a large 50+ space parking area to accommodate the growing funeral home. The parking area afforded the McDonough’s the ability to serve the families of greater Lowell in a new way. With space only normally enjoyed by those funeral homes in the more rural towns of New England, The McDonough’s, in a city of over 100,000, enabled themselves to assemble larger funeral processions with dignity and peacefulness. This brings comfort to the families served by the McDonough family to this day, knowing that although they may reside in a modern city, they can still expect the serenity of a simpler time when they are celebrating a life. 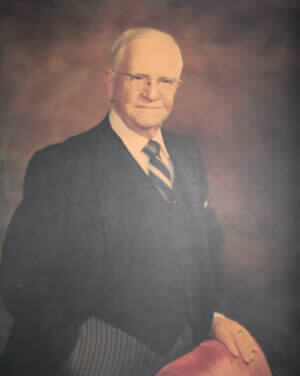 Currently the McDonough Funeral Home is owned and operated by John L. McDonough. Since his father, Joseph, passed away, John has brought the funeral home to a new level in terms of technology, service and ingenuity. While some in the funeral service profession were skeptical at the use of computers and other new technologies, Mr. McDonough embraced technology and saw computers as another tool to help serve the families of greater Lowell. John has been featured in several publications including Time Digital magazine as a leader in the funeral service profession spearheading the technology movement. John is also an advocate for fair wage and hour protection for funeral home employees, fighting for undertakers in an increasingly corporate industry. In addition John is part of countless community organizations throughout Lowell, valuing service within the community where he lives and works. John L. McDonough’s 2 sons have followed in his footsteps and the footsteps first taken over a century ago. John L. “Jack” McDonough received his funeral director/embalmers license in 2004 and has been working at the funeral home since he was in elementary school helping his grandfather to set up flowers and shoveling the stairs and sidewalks. His brother, Joseph G. McDonough also received his funeral director/embalmers license in 2005 and was right along side his brother through childhood, learning every aspect of the business for the past 25 years. With the values learned from their father, Jack and Joseph continue to focus on providing honest and personal service to the families that call on the McDonough Funeral Home. Whether it be a top fuel drag racer in the parking lot during a wake for a race car driver, over 150 motorcycles lining Highland Street for a fallen serviceman, or even several tow trucks/wreckers forming an honor guard for the final journey of a lifelong tow truck driver, Jack & Joe continue to create new ways to say goodbye to and honor those we love. The history of the McDonough Funeral Home continues to be written day by day at 14 Highland Street in the heart of historic Lowell. The McDonough Family is proud to share this history, acknowledging that none of it would ever be possible without the trust of the families of Lowell, and for that trust, the McDonough’s continue to work tirelessly every day.